While he wouldn’t call it a comeback, Andy Roddick was trying to make a surprise return to the US Opens as a doubles act with fellow American Mardy Fish. Sadly, it was not meant to be, as the International Tennis Federation intervened with their drug policy that stated that retired athletes were required to undergo several months worth of testing before they could compete in Grand Slam action. “I was pretty confident that it was the right one, even though it was made kind of on a whim. I went into the tournament not retired. After my first round, I was. You know, I didn’t have a lot of second thoughts. I missed it a lot. You have those moments of wishing you were there. But it’s the process to get to those moments that I couldn’t commit to anymore. USA Today’s Douglas Robson recently sat down with Mardy Fish and brought to the public’s attention an insightful perspective on the severe anxiety order that the former world No. 7 had been suffering from. The mental health issues are the main reason for Fish’s withdrawal from the sport. Roddick revealed that the doubles partnership was his suggestion and that he wanted to Mardy to be in a “pressure-free” environment where he could feel comfortable playing tennis once more. 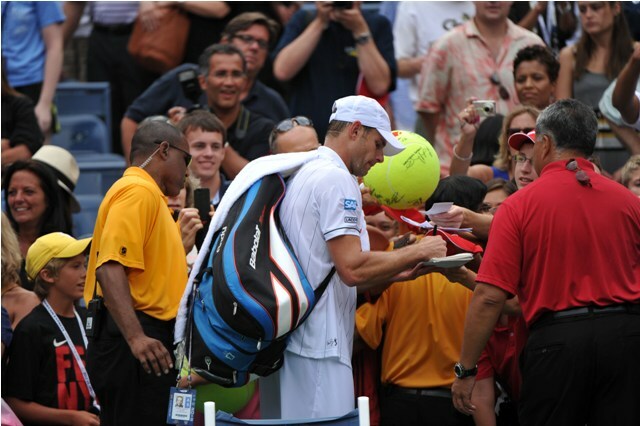 Roddick was adamant that he had not intention of coming out of retirement to play singles competition again. He no longer trains regularly and works for FOX Sports 1 and FOXSports.com apart from running a foundation as well. All that leaves very little time to consider the urge to play tennis again.